ALL THAT REMAINS frontman Phil Labonte was interviewed on the July 14-16 edition of Full Metal Jackie's nationally syndicated radio show. You can now listen to the chat using the Podbean widget below. 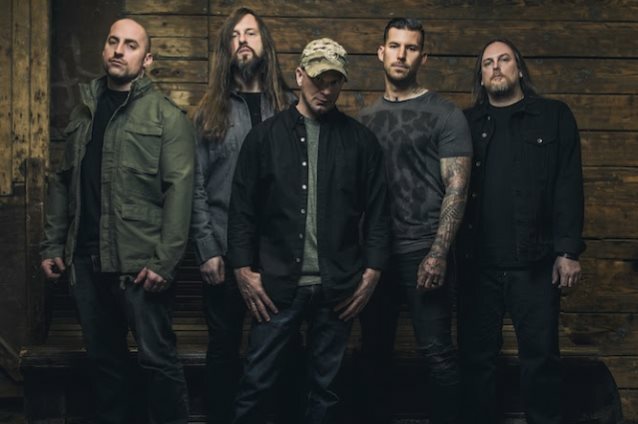 Asked what has changed about ALL THAT REMAINS — both musically and personally — since the band's formation nearly two decades ago, Labonte said: "Oh, god, twenty years. Everything. [Laughs] I like to think that I've learned a lot about music and the music industry. I think that kind of goes without saying, to be honest with you. I think that if you spend twenty years in an industry — especially an industry like the music industry that's changed so much in the past twenty years. I mean, twenty years ago, people bought records and the way people got music was so different; it wasn't stuff like Spotify, like it is today, or like Pandora, where the vast majority of people [who] get their music, they don't actually have their music in any physical kind of way. They just have a subscription to a service that provides them anything they want at any time — it just streams out of the cloud. And that seems to be the way that music is going. 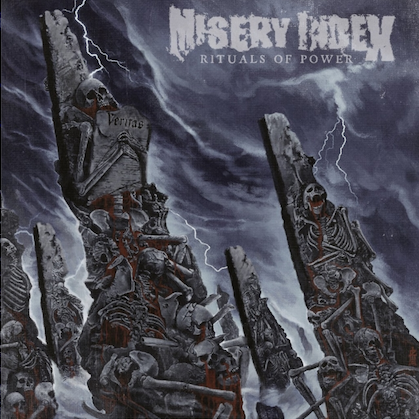 So whether it be the streaming services or the touring situation nowadays… I mean, there used to be the big… you know, the Ozzfest and the Mayhems and your Warped Tour. The only one that's left is Warped Tour. So the music industry has changed incredibly. And I think that you have to learn to adapt and change and be able to roll with the punches and assimilate to whatever the model [is] at that time, and as time goes on, the changes come faster and faster. So it's really, really difficult, but it's also… When you get on stage and perform, that's always been the same — at least for us. So there are things that are similar, there are things that are different, and I'm just happy that we've been able to continue to make relevant music for… God, twenty years. I can't even believe it. [Laughs] But yeah, we've been making relevant music for twenty years. Hopefully we can do it for another twenty." ALL THAT REMAINS' eighth studio album, "Madness", was released on April 28 via Razor & Tie in the U.S. and Eleven Seven Music in Europe. 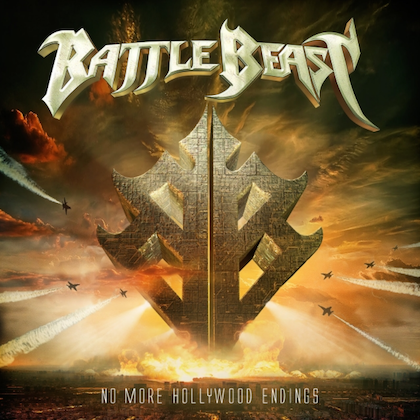 The disc was recorded at West Valley Studios in Woodland Hills, California with producer Howard Benson, who has previously worked with such acts as MOTÖRHEAD, PAPA ROACH, THREE DAYS GRACE, FLYLEAF, P.O.D. and HALESTORM. Asked by Ryan Daniels of of Rock 105.5, Carolina's Pure Rock radio station, about the "sellout" accusations that have been leveled at ALL THAT REMAINS for the more radio-friendly sound of the album's first single and title track, "Madness", Labonte said: "If you're doing something — making music — and specifically catering to an audience that you have catered to or that has found something to attach to, is it a sellout to try and change and do something different? Or is it a sellout to be, like, 'Okay, this is the safe play where I know I can make my money?' It's, like, I know I that I can cater to this narrow group of people, and if we don't stray, these people will keep buying our records, these people will keep coming to our shows. Is it a sellout to be, like, 'I'm gonna try something different?'" To see a full list of stations carrying Full Metal Jackie's program and when it airs, go to FullMetalJackieRadio.com. Full Metal Jackie also hosts "Whiplash", which airs every Sunday night from 9:00 p.m. to 11:00 p.m. on the Los Angeles radio station 95.5 KLOS. The show can be heard on the KLOS web site at 955klos.com or you can listen in on the KLOS channel on iHeartRadio.